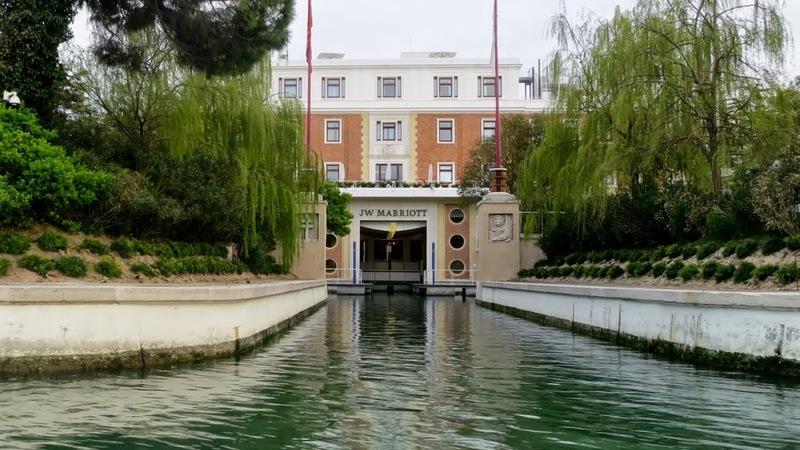 Tour of Venice, Italy: JW Marriott Venice Resort and Spa. First weekend of April (Eastern) we did stay four nights at JW Marriott Venice Resort and Spa. 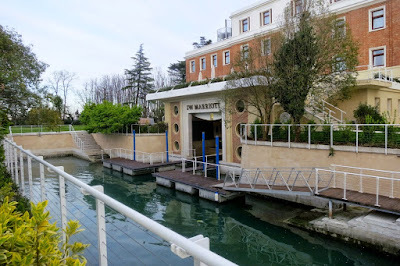 The hotel is located at the man-made Isola delle Rose (previously Sacca Sessola), one of the largest islands in the Venetian lagoon and covers an area of roughly 40 acres. After being established towards the end of the 19th century, it previously formed home to a series of hospitals. The island is 20 minutes by boat from the historic center of Venice, St Mark’s Square, and the city’s cultural gems. The hotel is operating a complimentary shuttle service to St Mark’s Square. Marriott are operating some early shuttle boats from the resort to to Venezia Piazzale Roma. First shuttle boat to St Mark’s Square is at 9 am (per April 2015). The buildings at Isola delle Rose are transformed into a luxury 5 star hotel and resort with a beautiful park. See my short review video: Unfortunately due to construction delays – some parts of Isola delle Rose was not be fully accessible. Including the Spa and the Dopolavoro Dining Room (announced to open both soon) I can really recommend this beautiful hotel for those who want to stay away from the crowded city of Venice.